There was a perceptible air of befuddlement in the room Friday as the Vermont House's tax-writing committee took its first look at the federal tax bill signed into law last month by President Donald Trump. "There's a lot going on here," legislative lawyer Peter Griffin said of the Tax Cuts and Jobs Act of 2017, most of which took effect January 1. "We're scrambling to understand the implications." Added Rep. Janet Ancel (D-Calais), who chairs the House Ways and Means Committee, "It is, at best, a Rubik's Cube." She later amended her comment, noting that the federal bill puts a Rubik's Cube to shame. Ancel's committee spent nearly three hours Friday listening to a lengthy presentation from Griffin and fiscal analyst Graham Campbell of the legislature's Joint Fiscal Office. Just to illustrate the extent of the unknowns, every page of Griffin's and Campbell's lengthy briefing paper was stamped "DRAFT," to let everyone know it was a work in progress and nothing should be considered final. 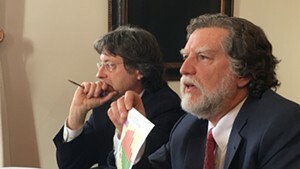 The overall takeaway: Making Vermont's tax system align better with the new federal law may be a huge and politically fraught issue that will occupy much of the legislature's time this year. And while Gov. 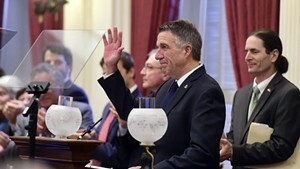 Phil Scott didn't even address the issue in his State of the State address Thursday, it may have a major impact on his own agenda. Griffin explained that the federal tax bill was "really transformative" when it comes to personal and corporate taxation. Since Vermont's state income tax is built upon the federal structure, many of the changes have widespread — and difficult to calculate — effects on state tax collections. For instance, the federal law eliminates the personal exemption, shifting to a standard deduction. But Vermont's income calculation has relied on the exemption. Absent any changes, Campbell said, this would cause "a very large rise in Vermont taxable income." On the other hand, Vermont caps itemized deductions at 2.5 times the standard deduction. That deduction is doubled by the new law. As Griffin said, "If you're a high itemizer, you enjoy a much higher cap." If you're not a high itemizer, well, you're out of luck. That's just one example. But there's even more to the complexity. "In isolation, you can look at these changes," said Griffin. "But they will interact in significant ways." On top of that, Griffin and Campbell's analysis doesn't even try to account for the behavioral impacts of the federal law. For instance, it includes a 20 percent deduction claimable by those who work as contractors, not salaried employees. That's a powerful incentive. It remains to be seen if people will try to convert their employment status to take advantage. The analysts' overall estimate of the impact? "Our model indicates that the tax bill is likely to lead to a small-to-moderate increase in Vermont tax revenue," said Campbell, who noted that those with taxable incomes between $80,000 and $200,000 are likely to feel the most pain. And here's a thing: When these guys say "small to moderate," they mean somewhere between nothing and $20 million. "In other circumstances, $3 million is a big problem," Griffin acknowledged, referring to the uncertainty lawmakers face as they write a state budget. "Working on this has shifted the goalposts. On any one issue, you could take a week or a month to work on it." The legislature doesn't have nearly that much time — and it's still waiting to achieve the clarity needed to even begin an overhaul of state tax law. Oh, and one other thing: The experts' presentation only considered Vermont tax receipts. 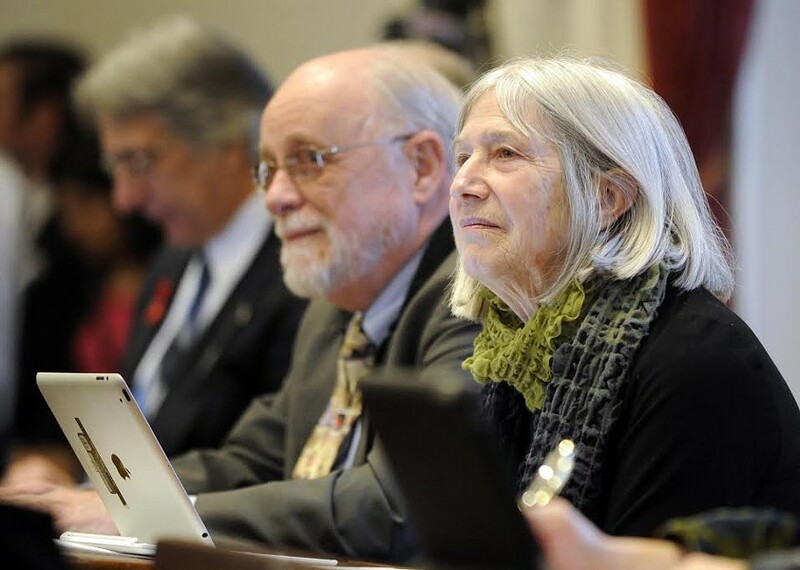 "It's critical to understand the impact on state revenues," said Rep. Fred Baser (R-Bristol), a member of the committee, "but what are the implications on Vermonters' overall tax bills, both federal and state?" "That's a fantastic point," replied Campbell. "We're beginning to look at the implications for Vermonters on the federal side." Which is the analyst's way of saying, "We have no idea." In the not-quite-words of Bette Davis, "Fasten your seat belts. It's going to be a bumpy ride."